Alliance Valves & Piping Supplies Manufacturing (AVPS) is a UK-based ISO 9001: 2008-accredited manufacturer and supplier of instrumentation valves, fittings and associated products. AVPS creates a wide range of valves, such as needle, instrument ball, gauge root, double block and bleed, and monoflange valves. The company also produces various components, including instrument valve manifolds, compression tube fittings, instrument pipe fittings, air headers and distribution manifolds and sample cylinders. As well as having 30 years experience in the manufacture of instrumentation valves, AVPS supplies a number of valve and piping packages. 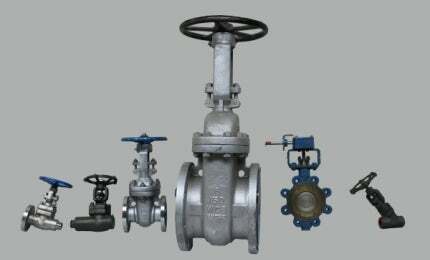 These include process valves such as gate, globe, butterfly, ball and check valves, as well as pipe, fittings and flanges. AVPS has broad years of expertise and technical knowledge in the sourcing of materials and products such as bar, forgings, flanges, fittings and machined components. The company’s familiarity of materials, metallurgy and processes is extensive and it is able to meet exacting material specifications. AVPS has set up a new, special materials sourcing and processing department to ensure that material supplied is capable of meeting increasingly demanding specifications. The material sourcing and processing department brings together all staff of AVPS, as well as some exciting new employees that will share their expertise and knowledge of the metals industry. It will ensure client enquiries that require additional processing or testing prior to delivery are dealt with speedily and professionally. The department focuses on the clients’ technical needs, ranging from complying with strict testing regimes and specifications to managing the independent third-party inspection processes. It ensures material fully conforms to requested specifications and requirements and assesses grade conversions. For example, taking ASTM A564 17/4PH Condition A and converting it fully heat-treated and tested to H1150 or even full manufacture if the material / grade required is not readily available in a timescale specified by the client. AVPS’s component sourcing and processing department also offers material in the shape and form required by the client, building on the company’s core benefits. AVPS provides exotic alloy materials such as duplex, super duplex, titanium, alloy 400, alloy c276, alloy 625 and alloy 825, as well as offering in standard grades such as 316st/st and carbon steel in most grades. AVPS compiles comprehensive bulk material packages for oil and gas, desalination, power, petrochemical projects worldwide. The company successfully secures and retains supply contracts to international projects on the basis of various criteria. This includes major client approvals, confidence in delivery lead times, competitive pricing and its capabilities to coordinate a wide range of materials and products using the firm’s knowledge of international standards, material and technical specifications. AVPS is based in Brighouse, West Yorkshire, with excellent transport links for import / export and UK distribution. Next-day material delivery is available for stocked items. The company has a satellite facility in Nigeria, which supports its West African clients. Alliance Valves & Piping Supplies Manufacturing Ltd.